The translation of Erich Frauwallner’s Die Philosophie des Buddhismus, first published in 1956, opens up a classic introduction to Buddhist thought to a broader English language readership. The book covers the period of early canonical literature with examples of its philosophically relevant ideas, followed by the principal philosophical concepts of systematic Sravakayana-Buddhism. In the main part of the book, Frauwallner presents the first survey of the development of the philosophical systems of Mahayana-Buddhism. He was well aware of the limitations in presenting only the limitations in presenting only the Buddhist philosophy of the “classical”, i.e., the systematic period, and does not seen to have been ready to add the philosophically creative new post systematic tradition of Buddhist epistemology and logic, a major subject of his subsequent years of research. Frauwallner’s ways of translating was straightforward: to remain as close as possible to the original text while presenting it in a clear and readable way in order to convey an accurate impression of its meaning. For technical terms in the source materials he maintained a single translation even when various meanings were suggested. For clarity regarding such variations of meaning he relied on the context and his explanation. The same approach was taken by the translator of the present book. Although his translation attempts to be faithful to the 1994 edition of Die Philosophie des Buddhismus, he inserted helpful additional headlines into the text and considerably enlarged the index. All other additions by the translator are given within square brackets. Besides this, he created an Appendix, which contains one of Frauwalh1er’s more important articles ‘2Amalavij1iana and Alayavij1iana” (1951) to complement the long Yogacara section of the book, a bibliography of Frauwallner, and a bibliography of selective publications after 1969. The URLs for many of the source materials were also conveniently provided. Prof. Enron FRAUWALLNER, born December 28, 1898, was appointed extraordinary professor of Indology and Iranian Studies in August 1939 at Vienna University and full professor in 1960 at the newly opened Institute of Indology. He was not only widely acknowledged throughout the international scholarly community for his numerous path- breaking studies and the History of Indian Philosophy but was also a fascinating and motivating teacher. He died on July 5, 1974. Lodro Sangpo (Jurgen Balzer) — the translator — is a Gelong in the Karma Kagyu order. Born in Stuttgart, Germany, he served for a few years as Acting Director of Gampo Abbey and was one of the co-founders of the Nitartha Institute for Higher Buddhist Studies. Now he is a senior teacher at the Vidyadhara Institute, the monastic college of Gampo Abbey. His focus of study is on the systematic traditions of Buddhist Abhidharma. THE PRESENT ENGLISH TRANSLATION of Die Philosophie des Bnddhismns by Erich Frauwallner opens up a classic introduction to Buddhist thought to a broader English language readership. First published in 1956, the main body of the book has remained unchanged. Frauwallner added supplementary remarks to the third edition, published in 1969. The edition translated here is the fourth, published in 1994. Frauwallner’s original idea was to publish a series of anthologies with selected translations and introductory explanations to accompany his Geschichte der indischen Philosophie (History of Indian Philosophy), of which the first two volumes were published in 1953 and 1956.1 Of this planned translation series only the anthology of Buddhist philosophical texts translated here and a small selection of Sivaitic texts were published in his life-time. An anthology of translations of Brahminical philosophical texts was published posthumously.3 Because of the exemplary selection of source texts translated in Die Philosophie des Buddhismns and particularly because of the clear and substantial introductions to these texts, this anthology is an excellent and profound narrative of the unfolding of Buddhist thought, and it is still the only one of its kind. At the same time, to be sure, this book is not totally comprehensive. It covers the period of early canonical literature, with examples of its philosophically relevant ideas, followed by the principal philosophical concepts of mature Sravakayana—Buddhism and, in the main part of the book, presents the first survey of the development of the philosophical systems of Mahayana—Buddhism. It does not, however, include such developments as the important post—systematic tradition of Buddhist epistemology and logic. Although as early as the 1930s Frauwallner was breaking new ground with articles, first critical editions, and translations of texts on concept formation. And theory of language, as well as the proof of momentariness, at the time of his writing Die Philosophie des Buddhismus, research in general had not progressed sufficiently to allow a clear and comprehensive presentation of the main issues at stake in the epistemological tradition founded by Dignaga. It is for this reason, I think, that Frauwallner decided not to include a selection of major texts by either Dignaga or Dharmakirti. As is evident from his overall plan for the continuation of the Geschichte der indischen Philosophie the Buddhist epistemological tradition was, of course, in- tended to be included, along with many other and much later traditions. His articles on the sequence of Dharmakirti’s works (1954), on Vasubandhu’s Vadavidhi (1957), or on the development of Dignaga’s thought (1959) indicate that during these years Frauwallner had begun to clarify the philological and historical basis for the next volumes of his Geschichte. In 1956, however, the year both the second volume of the Geschichte and the t present anthology were first published, he does not seem to t have been ready to include this philosophically creative development. He thus decided to conclude this presentation of Buddhist philosophy, which must have been written in close temporal relation to the first volume of the Geschichte, by introducing and providing translations from the last great ontological and stereological system, the Yogacara-Vijnanavada. 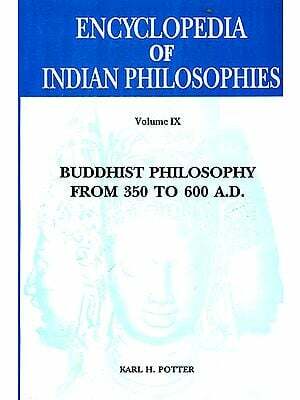 , A comparable case is the lack of a more detailed account of i the beginnings of Buddhist scholastic philosophy (Abhidharma), l on the subject of which he began to publish a long series of Abhidhama-Studien only in 1963. Frauwallner was well 1 aware of these limitations in his presentation of only the Buddhist philosophy of the "classical," i.e., the systematic period, as well as of the fact that from a vast literature he could take into consideration no more than a small sampling} The remaining volumes of his Geschichte were evidently on his mind throughout these later years of his life. Nevertheless, he always adapted his own research and writing interests to the changing needs of his students, thus moving from Buddhist epistemology to Mimamsa, and on to Abhidharma and Navya Nyaya. It was only after retirement, during his last years, that he could again concentrate on the earliest Abhidharma, publishing the last articles of the above—mentioned series.2 Unfortunately, however, he did not have sufficient time left to realize his great plan for a comprehensive history of Indian philosophy from its beginnings to modern times. Born December 28, 1898, he was drafted from the Academic High School into the Austrian Imperial Army in May 1916. As a combatant in the First World War, he took part in the Rumanian offensive and the "Battle of Isonzo". At the war’s end he enrolled at Vienna University in the winter term of 1918/1919. Frauwallner studied Classical Philology and took courses in Indology and Iranian Studies. His doctoral thesis, De synonymorum quibus animi motus significantur, uso tragico, was approved in 1921. In 1922 he took the state examination and started to teach Classical Greek and Latin at a secondary school in Vienna. Although a Sanskrit grammar had been in his possession since 1915, he had no academic mentor in Indology and Indian philosophy. Instead he used his methodological competence as a Classicist to guide himself.} In 1925 he published his first indological paper, and in 1928 he received the venia legend? For lndology on the basis of his first studies of Dignaga and Dharmakirti. In addition to teaching at the secondary school he taught until 1938 as a sessional instructor at Vienna University. During these years he also turned to Classical Tibetan, which—just as he later did with Buddhist Chinese and Modern Japanese——he taught himself, and was able to interpret, for example, Dharmakirti's theory of concepts and language from its Tibetan translation with such a degree of clarity and accuracy that to this day, it remains a wonder of philology. After Austria’s annexation by Nazi Germany, Frauwallner was appointed professor extraordinarius4 of lndology and Iranian Studies in August 1939. Drafted once again in April 1943, he served in anti—aircraft units around Vienna until the end of the second world war. On June 6, 1945, he was dismissed from the University due to his political affiliations, and his venia legendi was revoked. At the end of 1948 he was sent into early retirement with a small secondary school teacher’s pension. The difficult post—war years as private scholar with a wife, three children, and almost no income, were devoted to the first volume of his Geschichte der indischen Philasophie. This was the beginning of an exposition of Indian thought that in its methodology and presentation can be considered to be the basis of all further research in this field. His account of the history of Indian thought as a history of ideas, based directly on the original sources, is still unequalled. In analyzing the acceptance and rejection of concepts and theorems that constitute the core of philosophical positions, he renders the content of new thoughts and new theories intelligible and thus is able to explain them as attempts to solve specific difficulties arising within older views. In 1952, Frauwallner once again received his venia legendi at Vienna University and in 1955 he was again appointed professor extraordinarius. In 1956 he established a committee for the compilation of a "Handbuch der indischen Philosophie" at the Austrian Academy of Sciences, of which he became a full member in 1955, and in 1957 he founded the influential Wiener Zeitschrift fair die Kunde Sud— und Ostasiens} Appointed full professor at the newly founded Institute of lndology that opened March 21, 1960, he retired in 1963. Greatly respected throughout the international scholarly community, also known as a fascinating and motivating teacher, Frauwallner drew a number of gifted students to Vienna during his last years at Vienna University. He was honored in 1972 with an honorary membership in the Deutsche Morgenlandische Gesellschaft and 1973 he became a corresponding member of the Academy of Sciences at Gottingen. Erich Frauwallner died on July 5, 1974. Long left uninvestigated has been Frauwallner’s relationship to the National Socialist Party (NSDAP) and the extent to which its racist ideology influenced his conception of the character and development of Indian philosophies. It is only quite recently that these aspects of Frauwallner’s life and work have been focused upon more seriously. Jakob Stuchlik presented his PhD dissertation at the Department of Philosophy of Vienna University in 2005. Its second section contains an analysis of Frauwallner’s "Aryan approach" ("arischer Ansatz"), which is also the principal subject matter of the ongoing project. At the same time, although independently of Stuchlik’s dissertation, Karin Preisendanz, University of Vienna, and Eli Franco, University of Leipzig, also wrote a lengthy preface, which addresses this issue, for the present book's new, fifth German edition by the Akademie Verlag, Berlin. Frauwallner evidently had strong political convictions, as did many of those intellectuals who, after the catastrophes of the First World War and the fall of the Hapsburg Empire, made up a social stratum of German nationalists in Austria. Frauwallner had already joined the National Socialist Party (NSDAP) in W32, when it was still illegal. He clearly shared such ideas its "the Aryan race", "blood", and other inherited propensities, which had long been used in Europe to account for the perceived differences in peoples and cultures. It was these ideas that formed a part _of the theoretical basis of Frauwallner understands of historical differences in Indian philosophical thought, and he applied them to a periodization of Indian philosophical history. But these same ideas were then also incorporated into the NSDAP's ideology for their increasingly aggressive core slogans, which then in the end helped to pave the way for the holocaust. In 1939, Frauwallner published the article "Der arische Anteii .in der indischen Philosophie" ("The Aryan Share in Indian philosophy"), which highlights in particular, as characteristic of the ancient systems of Indian philosophy, the aspects of atheism and of a purely scientific derivation of their teachings, attributing these features to the "blood" common to Aryan peoples. His promotion of these ideas seemed to have served two purposes. On the one hand, Frauwallner was clearly convinced that it was appropriate to use such ideas when interpreting his subject matter. On the other hand, by using them, he also sought to increase the academic value of his specific subject, the study of Indian thought, in the eyes of those holding power at the time. This shows that Frauwallner, in what was actually his first attempt to define typological features of a fundamental and pervading nature that would be convenient for distinguishing the early period from later periods of Indian philosophy, cannot be seen as merely a victim of Nazi ideology in the sense that he "fell victim to the spirit of the times. He was fully confident of the meaningfulness of his historical hypothesis. Moreover, Stuchlik’s dissertation also points out that the traditional notions of the Aryan race, blood, and other inherited propensities, which Frauwallner had presented in his article of 1939, were still on his mind in 1953, as seen in his attempts to define categories that differentiated the periods in the history of Indian thought in the first volume of his Geschichte der indischen Philosophie. Besides the personal difficulty of understanding, on a human level, Frauwallner’s relationship with the NSDAP and its ideology, we are also faced with the difficulty of understanding why a scholar of Frauwallner’s stature and range—whose interpretations and methods of presenting the Indian sources are impeccable models of philological and critical scholarship- used such archaic categories, as "blood", at all, and why, furthermore, the influence of these categories is not to be sensed in Die Philosophie des Buddhismus. The answer, to my mind, is simple enough. While in the distinct individual results of his philological and interpretational work Frauwallner produced untainted presentations of the sources, it was when he ventured into the wide—ranging comprehensive historical summary of the cultural phenomenon of Indian philosophical thought and its development that he fell back on such meta—conceptions from his socio-political environment and his own convictions. Leaving the human level aside and considering only the scholarly perspective, it is in this area that we can say today that he failed. On the one hand, he incorporated the notions of Aryan race, blood, and body (”Volkskorper") into his work based on his own convictions; on the other hand, he selected certain features that he identified in his subject, e.g., “rationality," "scientific approach without presuppositions or the presence or absence of the idea of God, and took such features to be representative of typical characteristics of the Aryan race. While no longer accepting such concepts because they are either unfounded or unethically biased, scholars today are still grappling with the problem of how——without relying on racist theories-—to otherwise explain the features high- lighted by Frauwallner or dismiss, them as being inadequately chosen or defined. In short: when we read his Geschichte, it is reasonable and. legitimate to accept those of Frauwallner’s interpretations and insights that remain valid even from our historically more informed perspective, while at the same time we can discard all those of his ideas that originated in a specific and discernible set of social and cultural conditions that, hopefully at least in the majority, are no longer ours. The book translated here, Die Philosophie des Buddhismus, is, however, not tainted by any of these racist ideas, although it was written at the same time as the Geschichte. So we must ask: why? My answer may appear inexcusably flippant, but I can see no better. For Frauwallner, from its beginnings up to the development of its philosophical systems, Buddhism belonged to the early period of cultural phenomena that he had determined in his Geschichte as dominated by the Aryan component of Indian societies. Like Oldenberg and de La Vallee Poussin,2 both held in high esteem by Frauwallner, he had no awareness, as we have today, of the multicultural melting pot in the eastern Ganges Valley, with its minor kingdoms and small stratum of immigrant Aryan tribal peoples.4 Since in this anthology of Buddhist philosophy, Frauwallner focused exclusively on Buddhist philosophy, there was no reason to explain the appearance of this historical phenomenon as such, or its relationship t0 other cultural phenomena of India. Here he acted as an interpreter of a strictly defined phenomenon, the development of systematic philosophy in Buddhism. It is for this reason that the book is what it is: an impeccable scholarly account of early and systematic Buddhist thought, reliable in its translations and precise in its introductory explanations. In this, being a product untainted by racist conceptions, it provides corroboration for my hypothesis above, namely that only when writing comprehensive history, which had to include a determination of periods and an identification of their characteristic aspects, did Frauwallner refer to his personal ideological convictions. Although there probably will always remain a certain blemish to Frauwallner’s reputation, based on his political past and some of his personal views, since this book is free from any ideas related to those and since it is still the best of its kind, there should be sufficient benefit to warrant the publication of this English translation. At this point it seems worthwhile to remark on Frauwallner’s concept of "Buddhist philosophy," which he used as the title of his book. "The Buddha himself proclaimed exclusively a doctrine of liberation/' Frauwallner says, and he avoided “the philosophical questions of his time," which had no relevance for this doctrine. 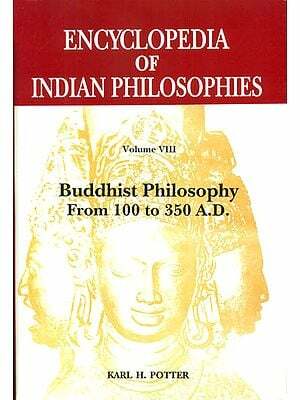 The development of philosophy within Buddhism occurred when "in the course of the last centuries before the Common Era the general development of Indian philosophy had led to the formation of complete philosophical systems. To my knowledge, however, Frauwallner does not expressly state anywhere what actually constitutes "philosophy" and in particular "Buddhist philosophy,"1 or why he considered his selections from the Buddhist literature as” philosophically valuable." Apparently the book itself is intended to provide an answer to these questions. And here, in fact, we find philosophy represented mainly in the form of metaphysics or ontology, as well as soteriology: limitations of which, as stated above, Frauwallner was well aware. As a whole, within the religion of Buddhism in its various forms, "Buddhist philosophy" can be roughly defined as encompassing all the theoretical traditions that developed over time in the analysis, elaboration, and argumentative establishment and defense of the so—called Four Noble Truths (catvary aryasatyani), which serve all followers of the Buddha as a succinct summary of the Buddha’s teaching and are thus the theoretical framework of philosophy for Buddhists everywhere. Of these Truths, the first, the Truth of Suffering, is the basis of Buddhist ontology; the second, the Truth of the Origin of Suffering, the basis of a Buddhist psychology or in other words, of an ontology of the mental; the third, the Truth of the Cessation of Suffering, is the basis of Buddhism as a religion, since it teaches a goal to be pursued; and the fourth, the Truth of the Way leading to the Cessation of Suffering, is the basis of Buddhism as a moral and meditational practice. Following the formation of the various philosophical systems, from the fourth century c.e. on, discussions concerning epistemology and logic began to develop in an effort to examine the sources of correct and valuable knowledge that shapes every-day and spiritual practice and is oriented towards liberation, as well as the methods of acquiring such knowledge. The theories and argumentations elaborated in the Buddhist tradition of epistemological thought are primarily related to the first two Noble Truths and were ultimately created in order to strengthen the authority of the Buddha, who had been the first to recognize and proclaim them. While in many aspects, to be sure, many theories and ideas of this philosophical tradition appear deceptively emancipated from their religious origins, nevertheless they cannot be separated from their Buddhist presuppositions and purposes, just as medieval European logic cannot be separated from Christianity. Although the above mentioned four principal truths of the Buddha remain as the core of Buddhism and all of its later manifestations, it would be more appropriate to speak of "Buddhist philosophies" in the place of the book title’s singular philosophy. For»beyond the Buddha’s few and basic theoretical concepts, all intended as direct explanations of facts of experience, none responding to metaphysical questions——there is nothing resembling one comprehensive or unified "Buddhist philosophy." In fact, the present book describes a considerable variety of theories and systems of Buddhist thought, all of which are related to the same fundamental heritage, but which were often developed in vivid inner-Buddhist polemics and result in quite contradictory ultimate views. As for Frauwallner’s approach to translation, it was straight for- ward: to remain as close as possible to the original text while presenting it in a clear and readable way in order to mediate an accurate impression of its meaning. For technical terms, he maintained, a single translation even when various meanings were suggested. For clarity regarding such variations of meaning he relied on the strengths of context and explanation. This method had the added advantage of revealing the fact that these literary documents were firmly embedded in strong terminological traditions. The same approach has also been taken by the translator of the present book, Gelong Lodro Sangpo. Born in Stuttgart, Germany, Jurgen Balzer studied Educational Science and became a teacher at an elementary school. In 1984 he underwent his first ordination in the Karma Kagyu Sangha, in France, and he then moved to Gampo Abbey, located in Canada. In 1987 he received the Bhikshu ordination in the USA and afterwards he completed the traditional three year retreat and a four year study retreat. He became one of the co—founders, in 1996, of the Nitartha Institute for the transmission of Buddhist learning and practice, and is a senior teacher at the Vidyadhara Institute, the monastic college (shedra) of Gampo Abbey. Over the years he has specialized in the systematic traditions of Buddhist Abhidharma, and has prepared an annotated English translation of Louis de La Vallee Poussin’s French translation of the Abhidharmakosabhasya that is now edited in preparation for its upcoming publication. Since Lodro Sangpo’s mother tongue is not English, he was assisted in the initial stages of the present translation by a Canadian, Bhikshuni Migme Chodron, and in its later stages particularly by the expertise of Jigme Sheldron (aka Donna Ross), a Canadian, who is also very familiar with the intricacies of the German language. My thanks go further to Stephanie Johnston, Lodro Yarda, and Lars Keffer for their tips and help with the layout and artwork in the book. While this translation attempts to be literally faithful to the 1994 edition of Die Philosophie des Buddhismus, in the process of translating we thought it helpful, for the benefit of the reader, to insert additional headings into the text and to enlarge the index. All other additions by the translator are enclosed within square brackets. Besides this we have created an Appendix, which includes one of Frauwallner’s more important articles, namely, “Amalavijnana and Alayavijnana. A Contribution to the Epistemology of Buddhism" (1951), since it nicely complements the long Yogacara section of the book; a bibliography of Frauwallner's work; and the selective bibliography of related publications since 1969. It is my hope that, in spite of the author’s personal commitment, this English translation of an anthology of pivotal documents from the rich world of Indian Buddhist philosophy together with introductory essays that are still unsurpassed gems of intellectual history writing will be duly appreciated by a new readership.